NOTE: you can use G-Suite accounts to log into individual Coggle accounts (log in at https://coggle.it/login as normal). 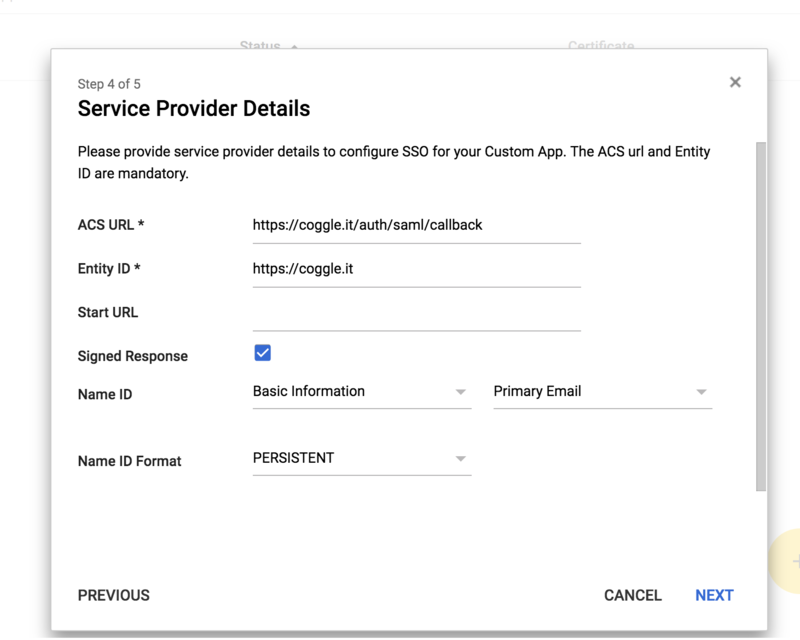 You can also configure G-Suite as a SAML ID provider for Single Sign On to a Coggle Organisation, which is what this guide explains. 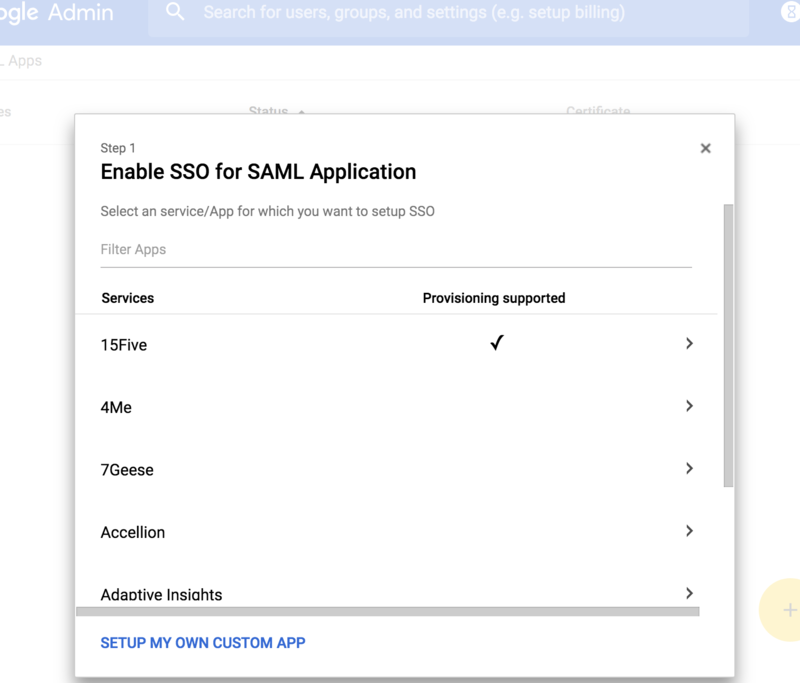 As an administrator of your G-Suite domain, go to the SAML Apps page. Open your Coggle Organisation's Authentication Settings in a new tab. Copy the SSO URL from the Google IdP information into the ID Provider SSO URL field in your Coggle Organisation Authentication Settings. 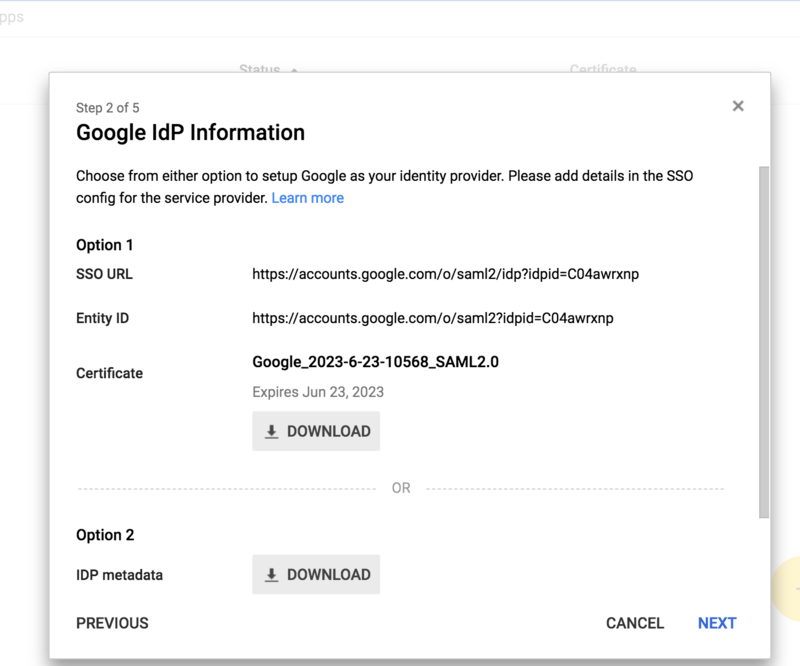 Download the Certificate from the Google IdP information, open it in a text editor, and paste its contents into the Certificate field of the Organisation's Authentication settings. Click 'Save' to save the Organisation's new settings. Your login URL will be displayed (https://coggle.it/ >/login), make a note of this URL. Go to the SAML Apps page, Select the new Coggle app, and at the top right of the box, click the three dots, and choose 'On for Everyone' (or one of the other options if you want to configure Coggle for just a sub-set of your users.) Click to confirm the change. Setup is now complete. You can now test your integration by going to the login URL from step 6 (do this in an incognito browser window, or a different browser, for easier testing).